2017/2018 YCLA Recipient Faith Gealey has been speaking at multiple events about of power of mentorship in her life as well as the impact it has, and can continue to have, here in the Cayman Islands. 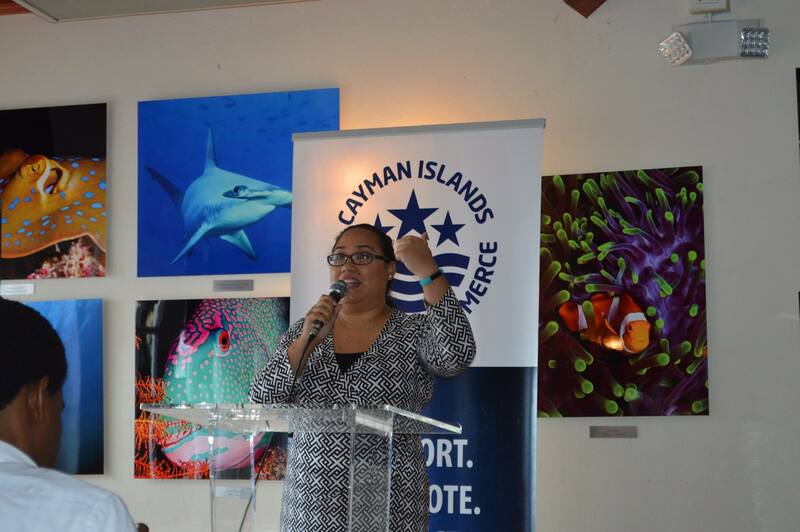 One of those events was at the Cayman Islands Chamber of Commerce ‘s Mentoring Cayman Luncheon in February. Below, learn more about the Chamber, what Faith shared, and the impact Mentoring Cayman is having on the lives of young Caymanians. 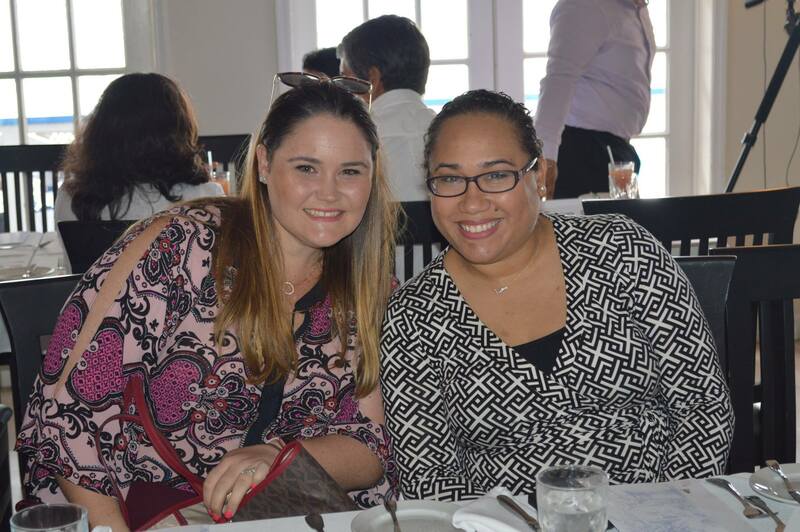 GRAND CAYMAN, CAYMAN ISLANDS (2018) – The 2018 Mentoring Cayman class gathered for the annual students and mentors luncheon on Thursday, February 22 at the Wharf Restaurant. Mentoring Cayman, first introduced in 2002, is a year-long programme introduced by the Cayman Islands Chamber of Commerce that partners high-achieving year 11 students from public and private schools with an influential and motivated mentor from the business community or government. This year the programme reached a significant milestone, having provided more than 700 students with mentorship to acquire new personal and professional skills. The class gathers several times during the programme year for social events, and the annual Luncheon is one of the many highlights. The class gathered to discuss their experiences of the programme thus far, sharing tips-and-tricks they have learned from their mentors. Mentors also had the chance to converse too, advising one another on their mentorship methods. 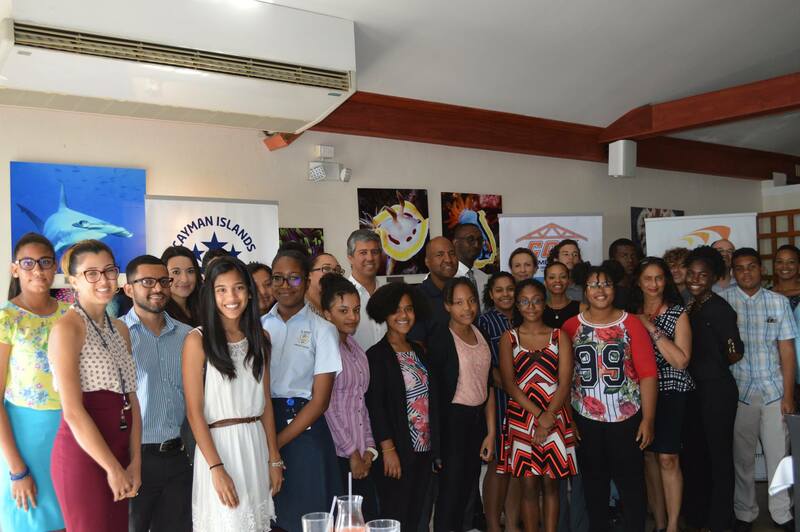 President Paul Byles briefly addressed the class, discussing the Chamber’s upcoming educational initiatives, such as the Summer Youth Work Experience programme, and the return of the Golden Apple Awards. “Mentoring Cayman is one of our most important initiatives as it gives our students that ever important experience in the workplace and through carefully structured mentorship, it gives young Caymanians an opportunity to develop their personal skills,” said President Paul Byles. “One of the key strengths of the Chamber of Commerce is its diversity of membership. As a direct result we are able to provide mentors to Cayman’s youth with a broad range of expertise and experience ranging from carpentry to marketing to legal services,” he said. Young Caymanian Leadership Award Recipient Faith Gealey delivered the keynote address at the luncheon. “Mentorship took me from a teenage girl with ideas and ideals, to a young woman with a purpose and a plan,” said Ms. Gealey. Ms. Gealey also noted how mentorship tends to come ‘full circle.’ “I have had several mentees over the years. Some were just for short periods of time, whilst others have lasted years and are still ongoing. My current mentee is currently at the age that I was when I first received mentorship. It is a gift that I am so happy to pass on to the next generation,” she added. Ms. Gealey’s words resonated with the mentees in attendance, especially with Javaldo Blake. The Chamber would like to thank Ms. Gealey for delivering the keynote address and inspiring the students with her powerful message. The Chamber would also like to thank the Ministry of Education, Youth, Sports, Agriculture & Lands for supporting the programme, as well as the following corporate partners: Caribbean Alliance Insurance Company Ltd., Consolidated Water, Cox Lumber Ltd., Knighthead Annuity & Life Assurance Company, and Rocky’s Diamond Gallery. ABOUT THE CAYMAN ISLANDS CHAMBER OF COMMERCE: The Cayman Islands Chamber of Commerce represents more than 650 businesses and associations across all industry sectors in the Cayman Islands. Its members employee over 18,000 persons or about 45% of the country’s labour force. The Chamber supports, promotes and protects the interests of its members and the public welfare and serves as a catalyst for positive change connecting community, business and government.